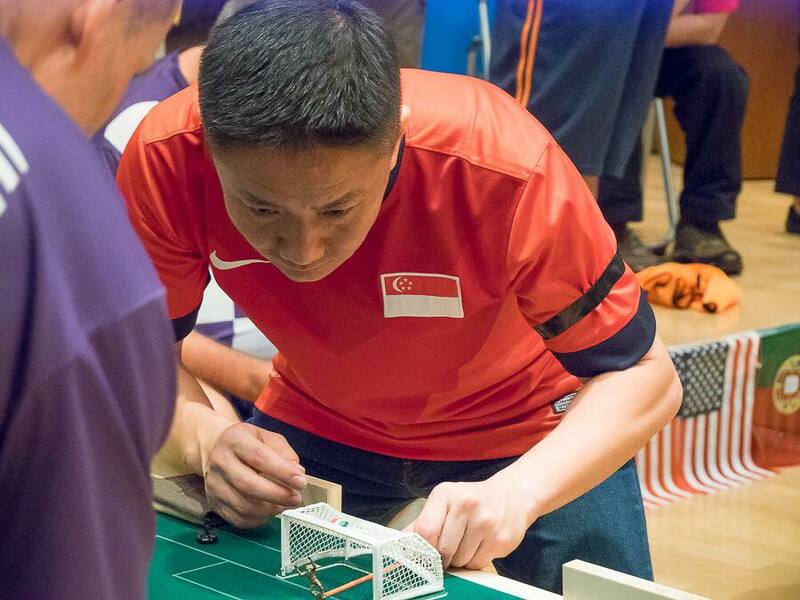 Asian Cup – Tan Kok Wee (SGP) takes the title! Singapore’s Tan Kok Wee won the 3rd Asian Cup in Tokyo on the weekend of June 10-11, beating Australia’s Raffaele Lombard 2-1 in the final. The tournament featured players from four Asian countries. In the national team event, Singapore beat Australia and Japan to claim the title, led by captain Bernard Lim, Tan Kok Wee, John Ho, Vikas Chandiramani, Ashley Tan and John Edwards. The Singapore Lions won the team event, while Robert Green won the veterans, Tan Yi De won the U12 and Eiko Yoneda won the female event. At the tournament, Japan, Singapore and Australia also formalised the creation of the Asian Confederation of Sports Table Football Associations (CASFTA), with Kenzo Koi of Japan as the inaugural president. The organisation of the event went smoothly, with an impressive organising team and 37 registered players. ← MAJOR …next stop: ATHENS 24/25 june!